Maxim Lighting Basix Collection 3-Light mini chandelier in satin nickel finish, features steel construction. The ice glass shade brings elegance to the home. 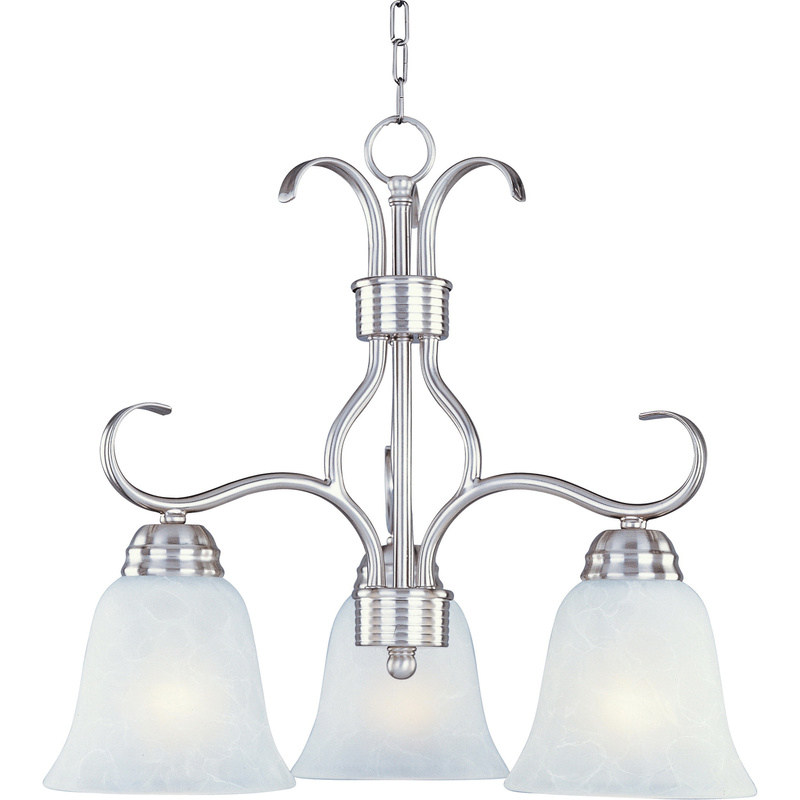 This chandelier uses three 60-Watt medium 3450-Lumens incandescent lamps that have voltage rating of 120-Volts. It measures 19-Inch x 18.25-Inch. This chandelier has average life span of 2500 hours to ensure uninterrupted performance. It comes with 36-Inch chain and 180-Inch lead wire for easy installation.